The second Lubavitch Chabad Rebbe. Popularly known The Mitteler Rebbe ("the Middle Rebbe"; Yid. ), the second Lubavitch Rebbe. Rabbi Dov Ber was the son and successor of his father Rabbi Shneur Zalman of Liadi - Baal HaTanya (the Alter Rebbe), and uncle and father-in-law of the Tzemach Tzedek. Some of the greatest chassidim of the Alter Rebbe said of his oldest son, Rabbi DovBer, that when he was eighteen, he already had amazing powers. 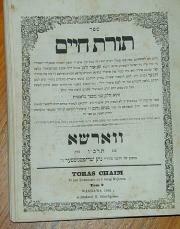 Rabbi DovBer assumed the leadership of Chabad upon his father's passing in 1812. In 1813 he settled in the town of Lubavitch, which was to serve as the movement's headquarters for the next 102 years. About the Rabbi Dov Ber it was said that he was so immersed in Chasidut that "if his finger would have been cut, it would have bled Chasidut instead of blood!" In 1826 when Rabbi Dov Ber was arrested by the Czarist government on slanderous charges (he was later released on the 10th of Kislev), even the governmental doctor, who was a prominent specialist, acknowledged that Chasidut was the Mitteler Rebbe's very essence and life. The doctor told the Russian authorities that they must allow Rabbi Dov Ber to give talks on Chasidut to his chasidim, explaining, "Just as you provide food for prisoners to ensure their existence, so, too, must you allow him to teach Chasidut. His very life depends on it." The authorities saw that this was true when, while imprisoned, the Mitteler Rebbe's health waned. They agreed to let fifty chasidim enter his prison room twice weekly to listen to a chasidic discourse. But rabbi Dov Ber was not only concerned about the spiritual life of his fellow Jews; he also worked to better their situation materially as well. He encouraged thousands of Jews, both his chasidim and others, to settle on the land as farmers so that they would not have to be at the mercy of the anti-Semitic landowners or peasants. He established twenty-two Jewish farm settlements on land near the town of Cherson, which he had convinced the government to give for this purpose. Many of his chasidim, however, were reluctant to move so far away from their Rebbe. Thus, Rabbi Dov Ber promised to go to the trouble of traveling to them so he could teach Chasidut to them there. The Rebbe spoke numerous times of the importance of celebrating the ninth and tenth of Kislev in a fitting manner, with gatherings that will foster brotherhood and lead to good resolutions. His day of release, Kislev 10 is celebrated to this day as a "festival of liberation" among Lubavitch chassidim. On the night of Kislev 9, the Mitteler Rebbe fainted many times. Once, they were unable to resuscitate him. The chassidim came, as well as the Chevrah kadisha (the burial society). The chassidim and the family didn't give up hope; they tried and successfully revived him. They asked the Rebbe, "Didn't you hear the shouting in the house? Why are you frightening us so much?" He answered, "I heard a heavenly voice asking what does such a Neshamah have to do in this physical world?" The Rebbe asked that he be dressed in his white clothes. Color returned to his face; he spoke of Zechusim - good things about Jews - that Jews are careful to do Mitzvot, especially Tzedakah, giving more than they can. He told his chassidim and family to be happy; Simchah sweetens judgment. He began to say Chassidut. The chassidim became happy, as if it were a wedding. All felt that now the Rebbe would regain his health. The Tzemach Tzedek said there wasn't such a passing since R' Shimon Bar Yochai. 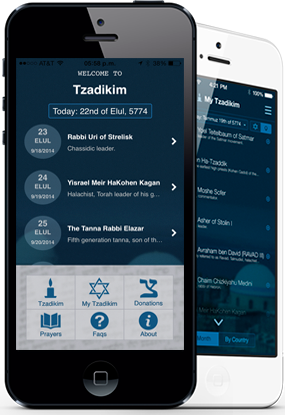 The Zohar says he was saying Torah and passed on, saying the word "Chayim" - life. Rabbi DovBer passed away on his 54th birthday in 1827, a day before the first anniversary of his liberation. The Rebbe was buried in Niezhen and that year the joyful day of redemption became one of mourning. Among the students and scholars of Chabad Chassidism, Rabbi Dov Ber is known for his unique style of "broadening rivers" -- his teachings are the intellectual rivers to his father's wellspring, lending breadth and depth to the principles set down by Rabbi Schneur Zalman. Said the chassid to Rabbi DovBer: "Considering who you are and how you've lived, what's the big deal? Your father -- well, we all know who your father is. You were certainly conceived under the holiest of circumstances, and I'm sure that your father secured a most lofty soul to bring down into the world. Then you were raised in a rebbe's home and great care was taken to mold your character and safeguard you from any negative influences. All your life you've been exposed to scholarship and sanctity, and to this very day you're preoccupied only with the study of Torah and the teachings of Chassidism. So you've amassed a certain amount of knowledge and you pray with fervor and devotion. Big deal. "Now, take me, for example. My father was a simple man, and we can well imagine what was on his mind when he scraped out some dreg of a soul from the bottom of the barrel. My upbringing? I was raised as a goat and basically left to my own devices. And do you know what I do with my life? Let me tell you how I earn my living. I loan money to the peasants during the planting season and then, during the winter months, I make my rounds of their villages and farms to collect the debts before they have a chance to squander their entire harvest on vodka. This means setting out several hours before sunrise, well before the permissible time for prayer, equipped with a flask -- for without a drink one cannot begin to talk business with a peasant. After drinking to his health, one must share a l'chayim with the woman in the house as well -- otherwise she can ruin the whole deal for you. Only then can you sit down to settle part of the account. "After three or four such stops I make my way home, immerse myself in the mikveh and prepare for prayer. But after such preliminaries, what sort of prayer would you expect...?" The words of this chassid, who was, in truth, renowned for his refined nature and soulful prayers, made a deep impression on Rabbi DovBer. The young man immediately traveled home to his father and poured out his heart. He bewailed his spiritual state, saying that his service of G-d is worthless, falling so short of what is expected from him. The Mittler Rebbe was known for the deep sense of caring for each and every one of his chasidim, especially the young people. One summer, the Mittler Rebbe was traveling and he stopped in the village of Smorgon. He announced that he was going to spend a week there and receive people for private audiences known as yechidut. For several days the throngs came to the inn where the Rebbe was staying. Suddenly, the Rebbe announced that he would receive no one until further notice. For several hours, people could hear the Rebbe saying tehillim, Psalms, and weeping. The Rebbe was so weakened by the ordeal that he needed to rest for an hour before praying Mincha. The next day, he again did not receive visitors. Only the day after did he resume his normal schedule. One of the older Chasidim was bold enough to ask the Rebbe the reason for his behavior. The Rebbe replied that when someone comes to him to ask advice, he does not merely offer advice. Rather, he would have to put himself into that person's problem so that it became his problem. Once he saw where from where the problem originated, he would put himself into the individual so that the solution would be acceptable. "A young man came to me with a problem," continued the Rebbe. "But, as hard as I tried, I could not convince him of the solution to his problem. I then realized the problem was with me. I was not doing a good enough job of relating to him. Once I took upon myself the firm resolution to improve myself, I could once again relate to him." May the merit of the tzaddik Rabbi DovBer of Lubavitch protect us all, Amen.